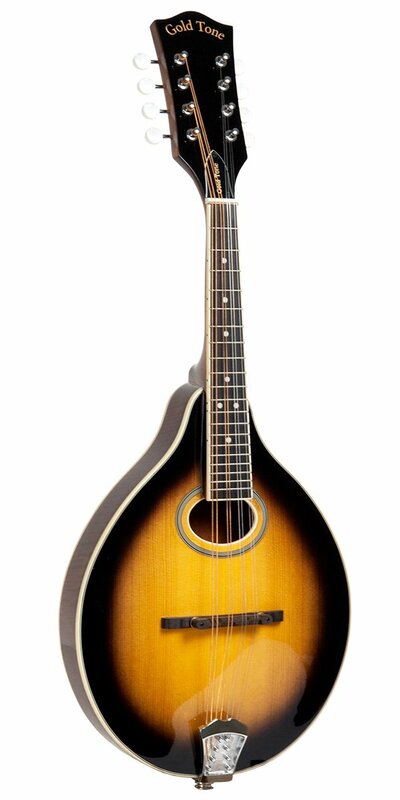 This solid-top A-style mandolin evokes the hugely popular instruments played by thousands of mandolin enthusiasts in clubs and orchestras during the early twentieth century. The sunburst finish on its curly maple back, sides and neck and on the carved solid spruce top is a tribute to those historic mandolins from the Midwestern US. The fretboard is bound with white celluloid and the period-correct bridge is adjustable for height. Gold Tone's expert shop setup guarantees that each GM-50+ has excellent tone and playability. Includes gig bag.